This is a very short story about a family dealing with grief, loss and guilt over the death of a child.For a 7 page story, there is a lot of emotional impact here. 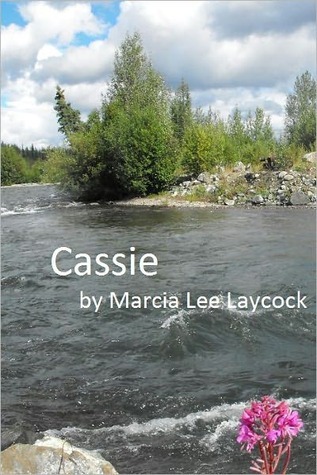 The pain Cassie feels radiates off the page. I felt so bad for her, and wanted to help her find peace. I was impressed at the punch this story delivers. Definitely worth checking out. This is a moving short story which treats the subject of loss and its attendant grief in a graceful,realistic manner, and is never overdone, but very understandable. Marcia Lee Laycock - Marcia’s writing began in the attic of her parents’ home where she wrote stories for her dolls. They didn’t complain so she kept it up.God has blessed her with publication in magazines, newspapers, on radio and the web. Her work has garnered praise from notable writers Mark Buchanan, Sigmund Brouwer and Phil Callaway.Her first devotional book, The Spur of the Moment won an Award of Merit at Write Canada and her novel, One Smooth Stone, won the Best New Canadian Christian Author Award in 2006.Marcia writes a weekly devotional column that goes out to over 4,000 people. Her devotionals have been published by The Upper Room and The Quiet Hour, among others, as well as in anthologies compiled by Multnomah and Thomas Nelson.Marcia is currently the Sunday devotional columnist for Novel Journey and was a contributor to Hot Apple Cider and A Second Cup of Hot Apple Cider.